While it was freshly swept, I had my reservations: there's only so clean a club's tile floor can be. 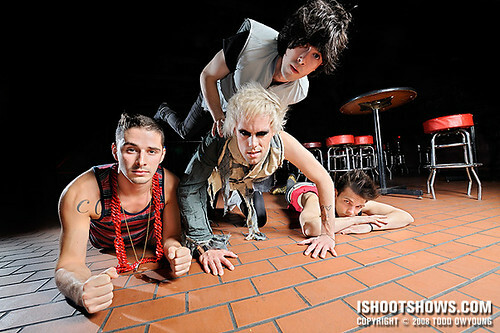 And yet, when I asked the members of Semi Precious Weapons to lie down, they were on all fours before I could even finish the sentence. 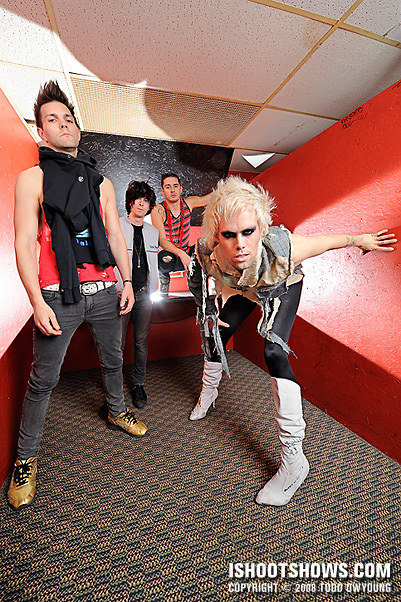 No one blinked when I asked guitarist Stevy Pyne to ride singer Justin Tranter, either. That's rock ‘n roll. 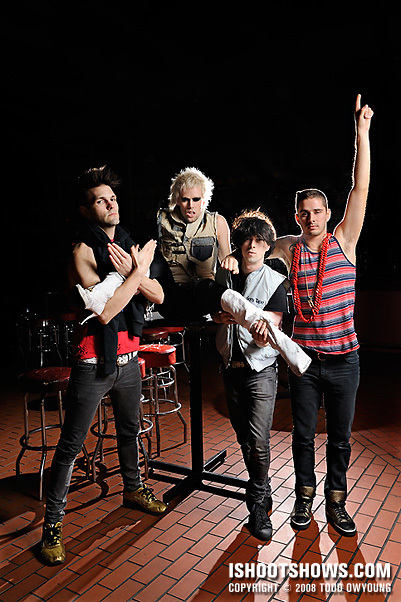 That's Semi Precious Weapons. 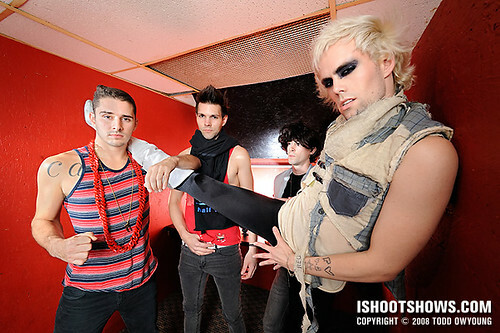 Just before they took the stage, I caught up with the glam rock heroes to do a quick ‘n dirty shoot, starting in the green room. For a performer who can drop into the splits just as fast as he'll wink at you, Justin held the above pose as if it were the most natural thing in the world. I'm pretty sure he could take a nap like this. After the green room, we moved into the club itself to a section that was closed off to the public for a contrasting look. 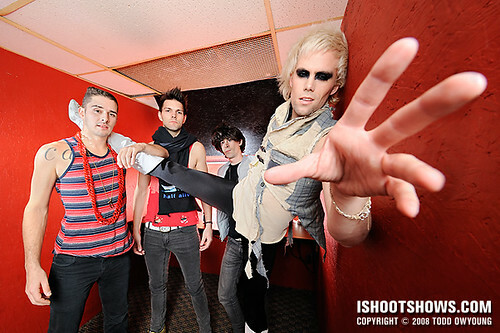 Semi Precious Weapons and I have been wanting to do a shoot since the last time they were in town, but it didn't all come together until this session. 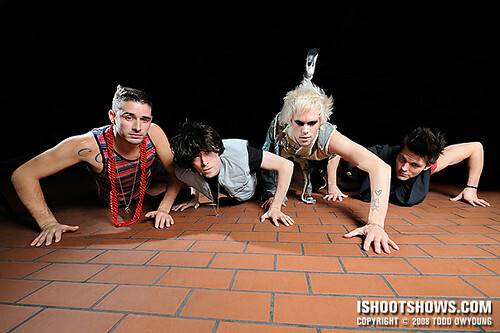 Everyone in the band is great, so this was a really fun and easy shoot. 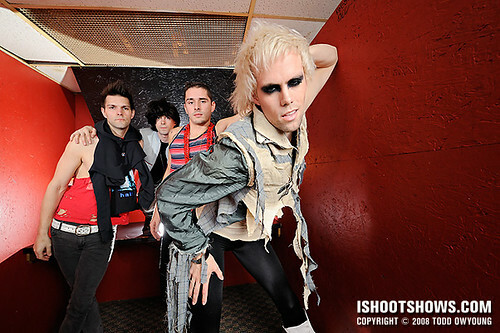 Justin Tranter in particular is a superlative subject for the lens – he's a superstar on-stage, off-stage, and everywhere in between. We did all of these shots with two to three SB-600s, with the Nikon SB-900 acting as the wireless commander on the Nikon D3. The Nikon 14-24mm and Nikon 24-70mm. 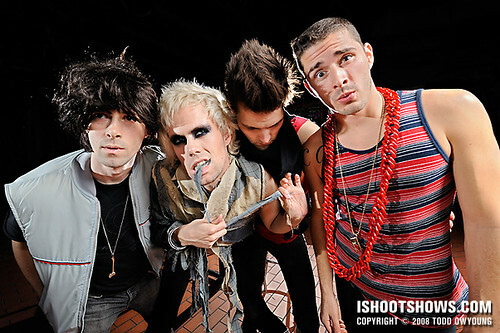 I can't wait to photograph these guys again. Moreover, I'm really excited to see them achieve all the success they deserve. 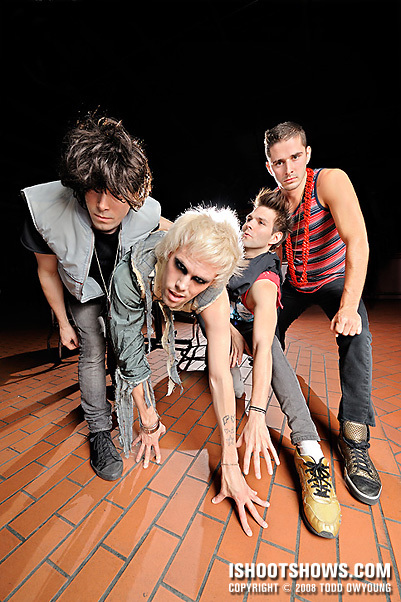 I have the feeling 2009 is going to be big for this band, and I wish them all the best. I’m addicted to your portrait sessions, Todd. The first and second to last are my favs. Justin is a supermodel. And I agree, they definitely deserve all success that come their way! Hey Tasha, thanks. I’m having a lot of fun with the recent portrait shoots and want to pursue this big time in the next year. Justin loves the camera, that much is fact. I think it’s a mutual adoration, really. These are great brah. SPW, FTW. Ha, thanks. SPW, blowing up at a rock club near you in ’09. These are as wonderful as anything I would expect from you Todd! Now you just have to get them to post the video! Can’t wait for February 9th! Hey Amy, thanks! Yes, video!